After an injury or illness, individuals need comprehensive rehabilitation to lead meaningful and productive lives. Integral to their recovery is occupational therapy. Tailored therapy helps individuals regain skills to complete daily activities, from bathing and grooming, to money management and problem solving. Occupational therapy is also important because it helps individuals learn to live with any physical or cognitive deficits resulting from their injury or illness. Learning compensatory strategies can help patients live life to the fullest. Brenna Dillon has left her mark on Nexus’ HealthBridge Children’s Hospital in Orange, California. As a Bronze Award and Silver Award recipient, Brenna set her sights on achieving the Girl Scouts’ highest honor: the Gold Award. Equivalent to the Boy Scout Eagle Scout Award, only about 5.4% of eligible scouts earn the award ꟷ and Brenna has successfully done so while impacting the lives of patients. Is a Concussion Considered a Mild Traumatic Brain Injury? When most people think brain injury, they don’t often think of concussions. Yet, the reality is, concussions are a form of mild traumatic brain injury or TBI. In fact, mild TBIs are the most prevalent type of brain injury and they are often misdiagnosed initially. As the year is coming to an end, we find ourselves reflecting on all that has happened across our health system. 2018 has been a year to remember. Here are some highlights. In honor of family caregivers across the country, National Caregivers Month recognizes the dedication individuals have for caring for their loved ones after a serious illness or injury. Often providing care around the clock, caregivers are not only their loved one’s parent, spouse, or family member, they are their advocate. Read on for Q&A with one of Nexus’ most popular caregivers, Mama Pat. To date, You First Foundation has donated over $63k dollars to Nexus Children’s Hospital. Serving children with a variety of diagnoses from brain injury to autism, the facility can now provide more diverse therapeutic activities tailored to patients’ specific needs and preferences because of the foundation’s gift. Nexus Health Systems welcomes Cindy Mostaffa back to the Nexus Neurorecovery Center campus as Chief Executive Officer. Mostaffa will play an integral role in strategic planning for the rehabilitation center. Whether you have an unusual or complicated case, Nexus Health Systems is here to assist. As is any healthcare professionals’ goal, Nexus strives to help you achieve positive outcomes no matter the challenges a patient may face. For these complicated cases, Nexus Health Systems’ Director of Complex Care Ann De la Rosa is on call to help review your patient’s case file and identify appropriate next steps. Nexus Neurorecovery Center provides both overnight respite care and day respite programs for those 16 years and older. Equipped with a state-of-the-art rehabilitation gym and programming center, our 26-acre, wooded campus provides a safe, supportive, and therapeutic environment. Nationally-renowned neuropsychiatrist develops Emerging Consciousness Program. Nexus Health Systems announces the launch of their Emerging Consciousness Program – also known as The Phoenix Project – for individuals with a disorder of consciousness post-brain injury. Since the program formed in early 2018, over 85% of patients have experienced improved wakefulness after being in a coma or vegetative state for anywhere from weeks to years. Nexus Health Systems welcomes Savitha Bonthala, D.O., M.P.H. to the team at Nexus Neurorecovery Center. Dr. Bonthala assumes the role of Director of Physical Medicine and Rehabilitation, offering holistic care to brain-injured patients in the form of osteopathic manipulative medicine. Representing HealthBridge Children’s Hospital Orange, Activities Lead Megan Motis was a panelist for the “Cause Play: A Hobby in Service to Others” discussion at Comic-Con in San Diego. Last year, the Avenger Initiative – a nonprofit for individuals who enjoy costuming and putting their creativity towards volunteering – visited patients at HealthBridge Children’s Hospital Orange. Their goal is to spread happiness and encourage patients going through a tough time. Kelley Cotton prepared for months with the support of her doctors and therapists to fulfill a lifelong dream of seeing her favorite band live in concert. Just six months after coming out of an induced coma to control seizures following a procedure to control a brain bleed, Nexus Neurorecovery Center rehabilitation patient Kelley Cotton attended her first concert ever. HealthBridge nearly doubles the number of acute patients they can admit. Nexus Health Systems’ pediatric facility in California, HealthBridge Children’s Hospital Orange, recently expanded their acute program to take nearly double the number of patients. Working closely with area hospitals who offer pediatric care, HealthBridge provides continuity of care and is widely viewed as a bridge between hospital and home. 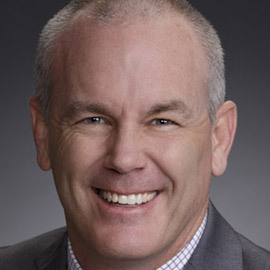 Dr. John W. Cassidy Named a Health Care Hero by the Houston Business Journal. Congratulations to Nexus Health Systems’ Founder, Chief Executive Officer, and Chief Medical Officer, Dr. John W. Cassidy, for being named a Health Care Hero by the Houston Business Journal! He received recognition for being an Outstanding Health Care Practitioner. Seamless Care Throughout Nexus’ Neurocontinuum. Pediatric and adult patients benefit from Nexus’ brain injury neurocontinuum for many reasons. As rehabilitation progress and needs change, our care settings – ranging from ICU to community-based living – afford patients the opportunity to receive care, rehab, and live in environments that are least restrictive. Following patients from admission to discharge or transition to life care, our interdisciplinary team develops evolving treatment plans and cultivates long-lasting relationships with patients. On March 30, the nation will celebrate Doctor’s Day, recognizing the dedication and contributions physicians have to their patients and the community. In honor of that event, Nexus introduces Courtney Toomey, M.D., a PM&R physician at Nexus Children’s Hospital – Houston. As National Brain Injury Awareness month takes center stage this March, Nexus Health Systems is reminded of the lasting impact brain injury has on patients and their families. The Brain Injury Association of America estimates over 3 million children and adults sustain either an acquired or traumatic brain injury a year, affecting their thinking, reasoning, emotions, memory, and other functions. Focusing on our pediatric patients’ quality of life, both Nexus Children’s Hospital locations use meaningful play techniques to improve comfort and resilience. The strategies implemented help patients feel more at home and calm as they’re receiving treatment. Nexus Neurorecovery Center physical and occupational therapists and speech-language pathologists have additional certifications that allow us to offer unique rehabilitation techniques proven to restore function and independence. Certified by the Academy of Neurologic Physical Therapy, Nexus’ physical therapists with this certification specialize in evaluation and treatment of patients with movement issues caused by an injury or disease of the nervous system. Their advanced clinical knowledge, experience, and skill enable them to help patients improve mobility through special techniques. HOUSTON — January 22, 2018 — Nexus Health Systems is excited to announce the restart of their national Changes Health and Wellness program at Nexus Children’s Hospital, on the west side of Houston. Reopening on January 15, the program offers support and treatment for patients with Prader-Willi Syndrome (PWS), a rare genetic disorder that affects learning and behavior, and causes health problems related to overeating and weight gain. This program can also provide care for patients with other weight management related illnesses. HOUSTON — January 8, 2018 — Nexus Health Systems announced the promotion of John Raley to VP of Revenue Cycle Management. Providing oversight and guidance over the admissions department, health information management and the centralized business office, Raley will develop and maintain relationships between service lines, providers, operations and administration. He will also collaborate with the finance team. HOUSTON — January 2, 2018 — For the past 25 years, Nexus Health Systems has delivered a neurocontinuum of care through multiple campuses located just outside of Houston, Texas. Treating pediatric and adult patients who have experienced an acquired or traumatic brain injury, sudden accident or illness, Nexus has pioneered a holistic care model for patients who may have found traditional rehabilitation settings unsuccessful. Nexus Health Systems is committed to keeping their residents’ spirits up during their rehabilitation stay. Whether it’s celebrating the first few steps after a brain injury, or in the case of Clark Hoppel, celebrating his first wedding anniversary with wife Teri. HOUSTON — November 28, 2017 — Nexus Health Systems announces the promotion of Joel Talley to Chief Operations Officer. Propelling Nexus’ vision, Talley will work directly with facility administration to create and communicate facility strategy. He will also oversee new program development and ensure alignment with corporate goals. HOUSTON — November 20, 2017 — Nexus Health Systems announces the promotion of Kimberly Fields, MBA, CPA to Vice President of Finance. As the head of the finance department, Fields will oversee the accounting and purchasing divisions, manage internal and external financial reporting and cost containment, and develop performance measures that support Nexus’ strategic direction. HOUSTON — November 2, 2017 — Nexus Health Systems is proud to announce the addition of Eric Cantrell as Chief Executive Officer of Nexus Specialty Hospital. As part of his role, Cantrell will oversee all aspects of operations at both campuses in Shenandoah and The Woodlands. 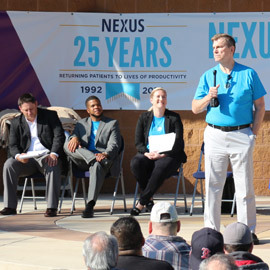 HOUSTON — September 7, 2017 — Erin Cassidy, president of Nexus Health Systems, announced that the company has rebranded and launched a new marketing campaign as of September 1. The announcement was made to all hospital leadership in late August and shared with staff leading up the public launch that happened took place this past weekend.